Actors' Shakespeare Project continues its 2009-2010 Season with "Othello," directed by Judy Braha, running March 10 - April 4 at Villa Victoria Center for the Arts, 85 W. Newton Street in Boston (formerly the Jorge Hernandez Cultural Center). 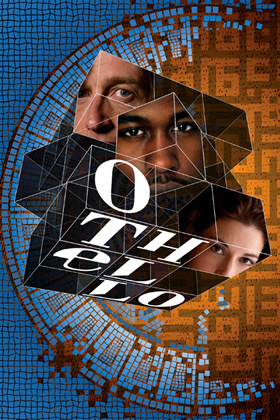 Often called Shakespeare's most intimate tragedy, "Othello" is a timely play of race, politics, and the marriage bed. In A.S.P.’s modern production, Othello’s story resonates strongly with all too familiar media headlines. A young public figure on the political rise and esteemed general in the service of Venice, Othello has recently wed Desdemona, the daughter of a senator. When he promotes Michael Cassio to be his lieutenant, the brilliant, politically ambitious and passed-over Iago is enraged and plots revenge. Othello aspires to belong to Desdemona's world and instead becomes victim to its bigotry and his own inner demons through Iago’s keen psychological manipulation. A.S.P. Resident Company Member Jason Bowen plays the title role, Ken Cheeseman returns to play Iago, and newcomer Brooke Hardman plays Desdemona. The company also features Paula Langton, Doug Lockwood, Bobbie Steinbach, Michael Forden Walker, Olivia Hendrick, Cloteal Horne, Matt Ketai, Sydney Lemmon and Denise Marie. For tickets, call 866-811-4111 or visit www.actorsshakespeareproject.org.